Go straight to Yachtmaster Offshore. No previous knowledge required. The quickest way to your Yachtmaster Offshore theory certificate. 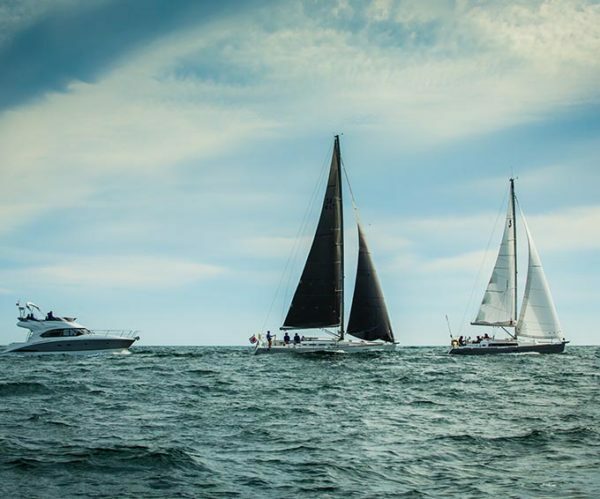 This course is designed for those with some sailing and navigation experience. Revision to Day Skipper level theory: Unsupported. RYA Coastal Yachtmaster Offshore theory: Fully supported. 14 day opt out with full refund on return of the undamaged course pack. Delivered by Navathome, an RYA Recognised Training Centre specialising in online training. The two RYA training charts. A voucher to access the RYA plotter simulator. Access to the US version of the admiralty list of charts and symbols. Feedback and help from fulltime instructors seven days a week. RYA Coastal/Yachtmaster Offshore theory certificate on completion. Free boat handling animations designed to help you during your practical course. Your RYA pack is sent out first class within 24 hours of booking. 6 month access period with an admin fee to extend. Optional voice over gives you the choice. Helping you every step of the way. When filling in answers to RYA questions using an innovative form system, the auto-help feature will give you instant help if your answers are incorrect. This is followed by help from instructors who will be available from 0700 until 2000 hours seven days a week. Recently added ‘Hint’ buttons make it easy to remember the steps required to answer questions and reach a successful conclusion. The Coastal Yachtmaster Fastrack course is aimed at those with some experience of sailing but do not have any formal training. The Day skipper revision part of the fastrack course is self test and the results are not saved. Once a student starts the Coastal Yachtmaster Offshore section, results are stored and feedback and help is provided by your instructor. Fourteen day opt out with full refund on return of the training materials. You are not under pressure to keep up, can do it when ever you feel like it and when you have the time. You enrolment lasts for three years. The course can be completed in as little as 50 hours. Your RYA pack is sent out at the latest the next day. Assessment methods within the courses ensure student training is Evaluated, Validated and Recorded.